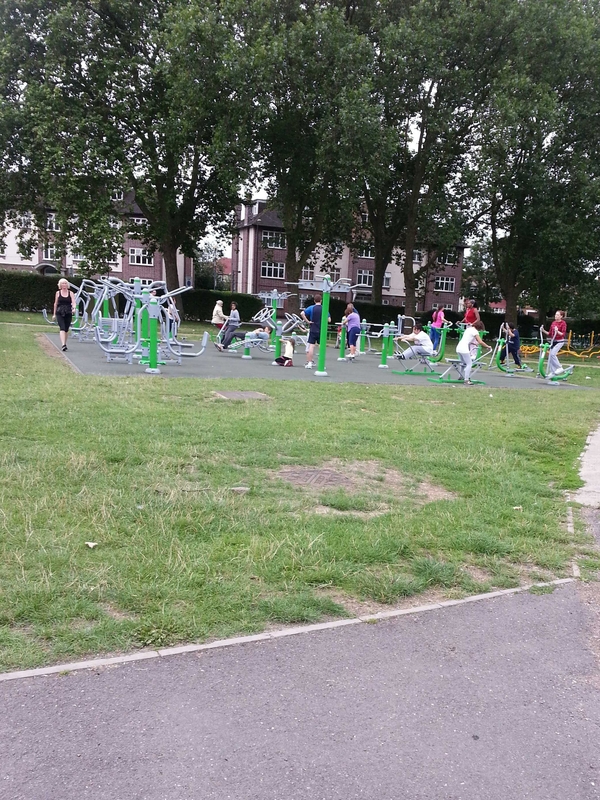 The new outdoor gym at Gladstone Park has been built and is already proving to be an instant success. Here is a picture taken on Saturday morning with the machines being heavily used by local people. It got me thinking that over the last four years, we have successfully pushed for greater use of the park for local people and slowly but surely, we are improving the offer of our local park. Below are just ten ways in which having Labour Councillors at the heart of decision making have helped improve facilities and increase activity at Gladstone Park. Posted on August 16, 2013 August 16, 2013 by Cllr Krupesh HiraniPosted in Dudden HillTagged Brent Labour, Gladstone Park, Gladstone Park café, Gladstone parkrun, Karmarama, Labour, Outdoor gym, outdoor gym Gladstone park, Park run, park run Gladstone, Pavillion Café, Tennis court. Isn’t Gladstonbury cancelled next year? It’s not in the budget.